Think Thursday: The World is Yours! 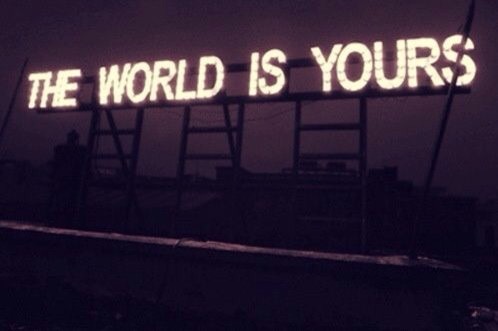 Did you know that the whole world out there is yours?! Well…it is and no one can take it away from you. It is yours to own, live in and make the very best of so don’t allow your negative self to get in the way. Don’t allow your state of mind or your fears prevent you from having what’s already yours. Claim your world now! It is what you make it. What you get out of it is what you put into it so make the most out of it and make it your best. The world is yours! « Kerry Washington in Boss by Jason Wu! I nominated you for a Liebster Award. 🙂 I understand if you don’t want to answer the questions as it takes a bit of time, but just wanted to give you props.